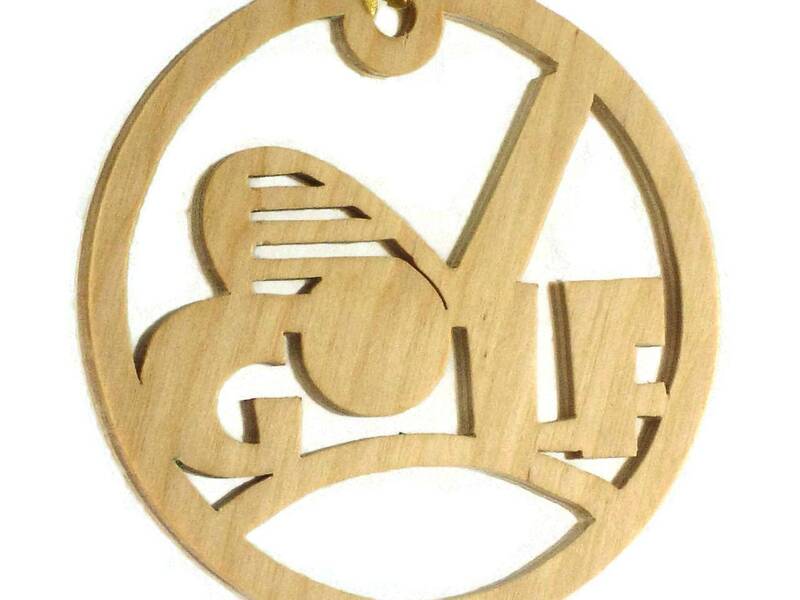 If you or someone you know is a golfer or just likes golfing then this is the perfect gift to give yourself or a friend. 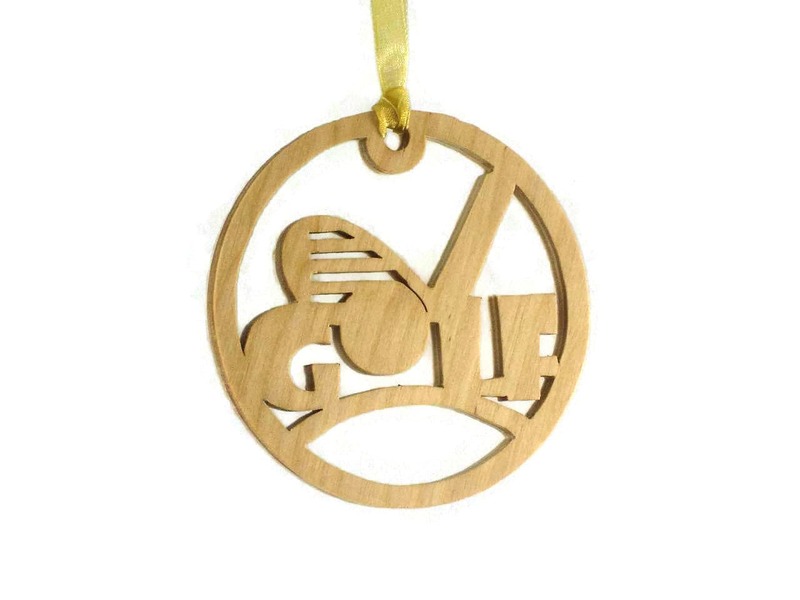 This golf Christmas ornament was cut by hand ( Handmade ) using a scroll saw. Cut from 1/4" thick Birch plywood. 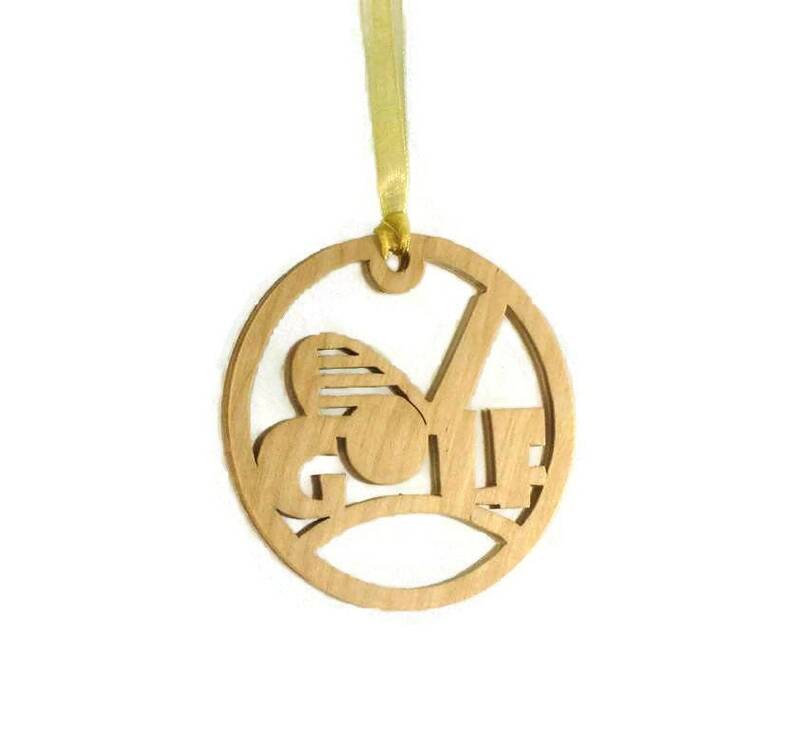 This golfing ornament features a scene of a golf club, golf ball and the word golf with the O in the word being the golf ball all encased in a 3-3/4" circular ornament shape. A various color fabic ribbon is attached for ease of hanging this on your Christmas tree. A natural color Danish oil finish was applied to bring out the natural beauty of the wood as well as to protect its natural beauty for many years of enjoyment. Measures approximately 3-3/4" diameter by 1/4"
This arrived very quickly and looks just as depicted. 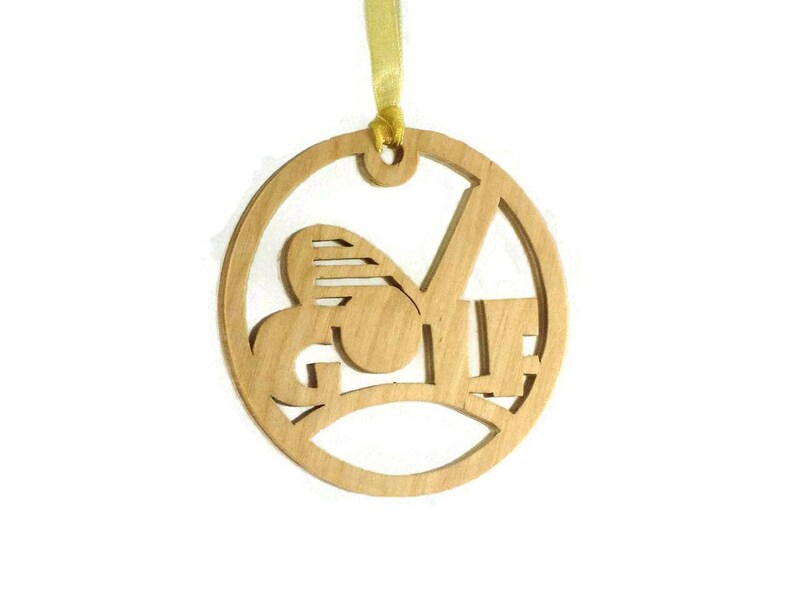 Great ornament for the golfer! 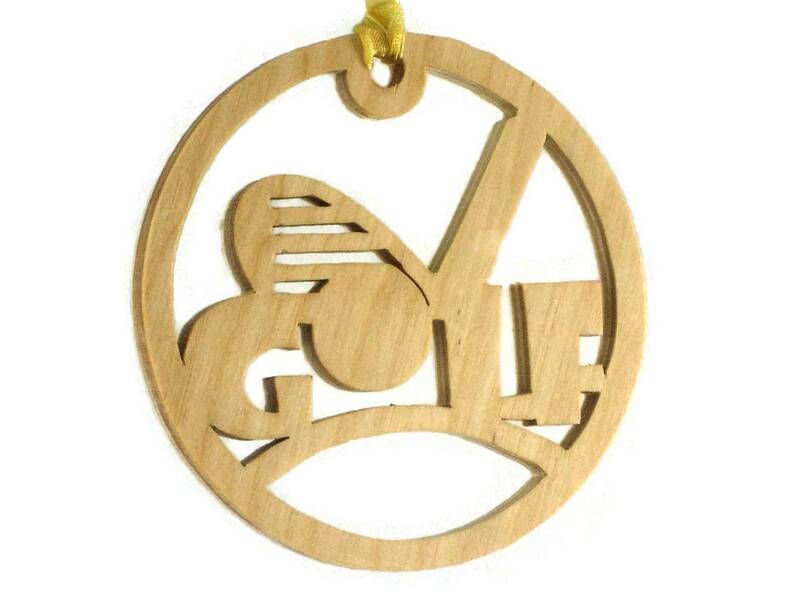 This tree ornament is even better than in the picture!